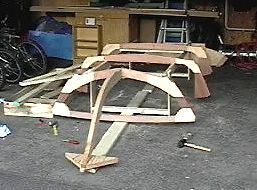 Today (Wednesday, March 16) was a pretty nice day, so I finished the building form I started last Saturday. 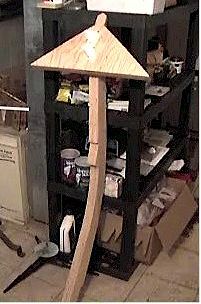 Here's a picture of the finished form with the frames, stem, and breasthook on it. 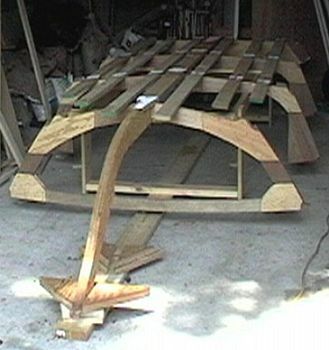 Here is a picture of my Tuffy with its keel and battens. Thanks for the help.